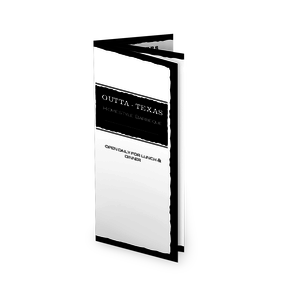 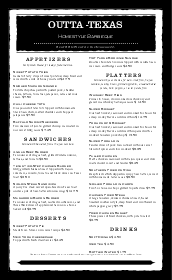 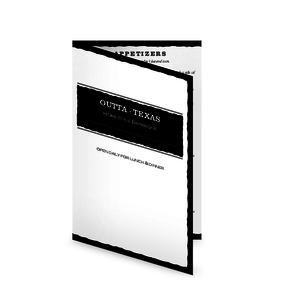 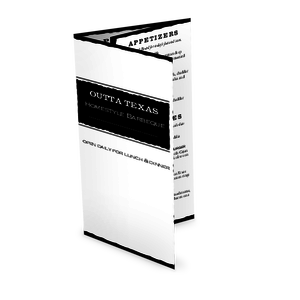 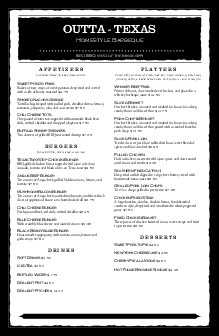 The Menu for a Barbeque restaurant in A4 size features a bold design in black and white. 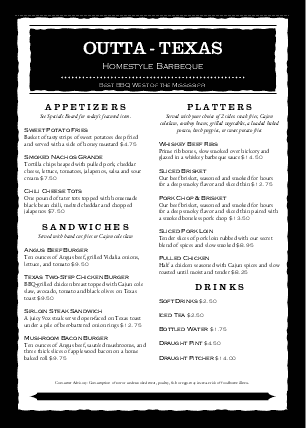 Two columns list bbq meats, fried chicken, burgers and platters, with a black banner at the top for the restaurant name and contact details. This barbecue menu template can be customized online.